Don Hale, principal of the Don Hale PR consulting firm, is vice president for public relations and marketing communications at Georgia State University where is the chief public relations counselor to President Mark P. Becker. 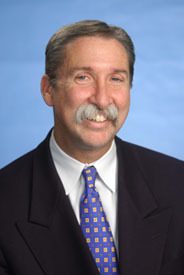 He joined Georgia State in 2012 after 11 years as vice president for public affairs at The University of Texas at Austin, one of the nation’s largest public universities. Hale served two presidents at UT-Austin, Larry R. Faulkner and William Powers Jr. He joined the university in 2001 after 19 years at Carnegie Mellon University where he was vice president for university relations and secretary to the Board of Trustees. Hale joined Carnegie Mellon as director of public relations in 1982 after five years as director of public relations at Drexel University. At Carnegie Mellon, he was the chief public relations counselor to three presidents, Richard M. Cyert, Robert Mehrabian and Jared L. Cohon. Hale began his career as a newsman with United Press International (UPI) after graduating from Temple University. He has managed public relations departments that have won numerous awards from the Public Relations Society of America (PRSA), International Association of Business Communicators, Women in Communications and the Council for Advancement and Support of Education (CASE). He has been a consultant to corporations, colleges and universities. Hale has been a lecturer in news writing and public relations at Temple, Carnegie Mellon and Texas. He is past-chairman of the Counselors to Higher Education section of the Public Relations Society of America (PRSA), past-president of the College and University Public Relations Association of Pennsylvania (CUPRAP), former chair of CASE’s Middle Atlantic District 2 and a former member of the Executive Committee of PRSA’s Pittsburgh chapter. In 1988, Hale received CUPRAP’s Arthur V. Ciervo Award for “outstanding efforts to advance the cause of higher education in Pennsylvania.” He was named 1993 “Communicator of the Year” by the PRSA’s Pittsburgh chapter and 1995 Professional of the Year by CASE’s Middle Atlantic District. For almost two decades, Hale was editor of CUPRAP’s quarterly newsletter, providing CUPRAP members with public relations news, views and humor. CUPRAP’s annual award for service to the organization is named for him. He has contributed frequently to CASE publications and his writing is included in the CASE “Handbook of Institutional Advancement” and “Public Relations and the Presidency.” Hale lives in Austin with his wife, Tamara, who is executive director of the international organization L3. They have two children, Paige and Reide.